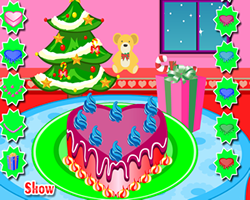 Description: Sofia has come and ask you to help her decoration her cakes for every special celebrations. Instruction: Use your mouse to help Sofia decorate a cake for any types of celebration. There are 1 users online and 171 games played today.